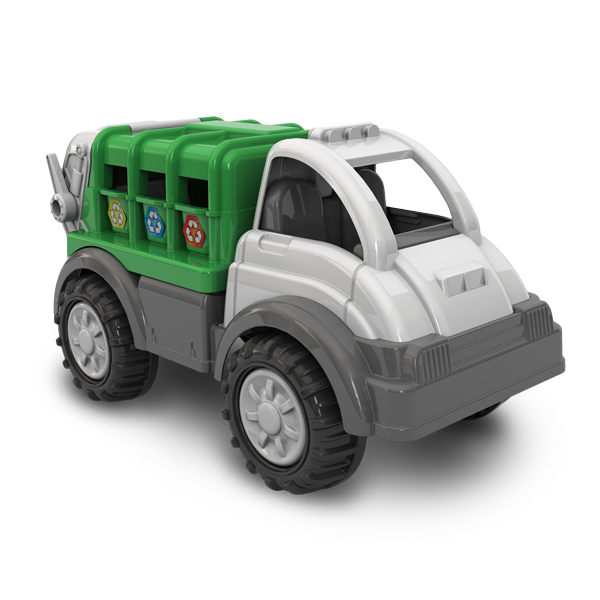 GIGANTIC RECYCLING TRUCK | American Plastic Toys Inc. Practice reducing, reusing, and recycling with this gigantic recycling truck! It features a swivel back bin for pick-ups, sorting side bins, and a tilting dump bed for emptying.